We supply a diversified portfolio of branded prescription, OTC, consumer and infant nutritional products into Australia and New Zealand. We are one of the largest manufacturers in Australia and our manufacturing site in Melbourne produces certain tablets, liquids and semi-solids. The Australian pharmaceutical sector was valued at AUD17,7 billion as at 30 June 2018 with flat volume growth. 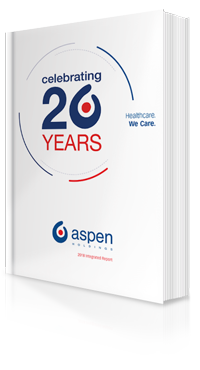 Aspen was ranked 3rd by volume and 9th by value in the Australian pharmaceutical sector for the year ended 30 June 2018. Almost one in seven scripts written in Australia is for a product distributed by Aspen.